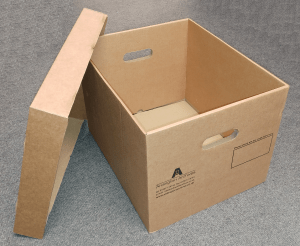 Ardington Archives LLP has a range of custom designed storage boxes made from high content recycled board. 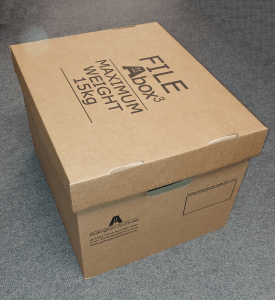 Designed with a double thickness skin to ensure strength, rigidity and a longer life than most other storage boxes, all Ardington Archives LLP boxes are PH neutral to maintain the quality and integrity of the documents stored inside, meeting PD5454 standards. 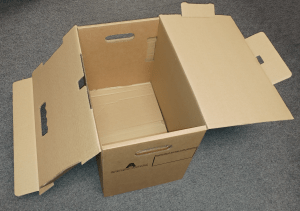 All boxes are supplied flatpacked for ease of storage and transportation. 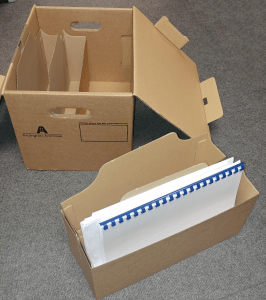 The DOCbox4 is specially designed to store documents more densely than standard boxes by using section dividers to store individual sheets or sheets in folders. 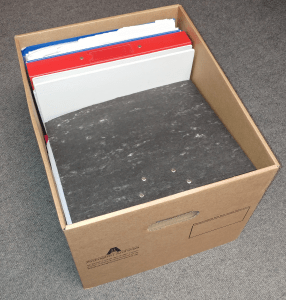 This eliminates the need to store ring binders, lever arch files or hard backed file folders which waste space and add weight, allowing them to be reused. 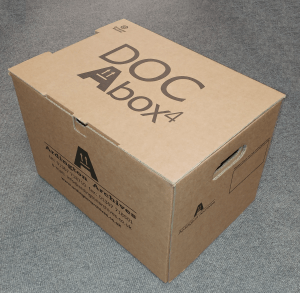 The Docbox can store more information per kilogram and per cubic metre, lowering overall storage costs, and each insert will hold the contents of a lever arch file. 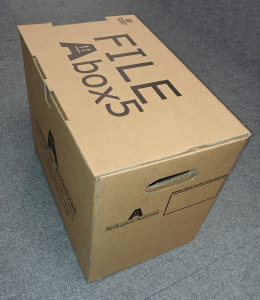 The FILEbox5 is our original storage box with open space to house ring binders or lever arch files. The FILEbox5 is specially designed to fit three standard lever arch files perfectly, and has an integral lid to avoid overfilling. It also proves a perfect fit for Patient records, as they can be stored internally, replicating the layout of filing cabinet. 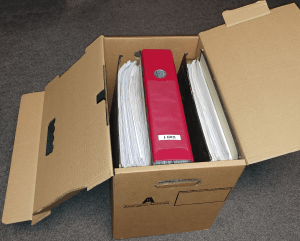 The FILEbox3 is our largest storage box with open space to house ring binders, lever arch files or a mixture of both. The FILEbox3 allows for numerous configurations of storing files, and it’s sturdy construction ensures the long term integrity of any document or file held within. 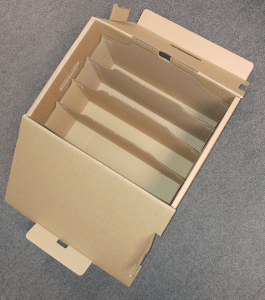 The PLANbox is a long rectangular box that is ideal for storing plans, blueprints and other oversized drawings that need to remain rolled-up in storage. If you would like further information on our boxes or any other service, please use our contact form.